Join The Gossip: Bargain Shopping...Would You Have Guessed? The sweater is great! I can't believe it came from Sam's but that just goes to show - you never know where you're gonna find your next great piece. Great to pimp any work outfit!!! You are so cute! I love it! Is it sweater time in California? great buy! it looks great, i dont know that store but under $20 seems quite amazing! oh how cute. very stylish. 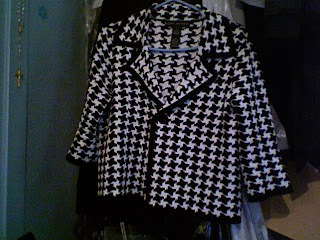 I adore houdstooth - love that jacket - great find!! and yeahhh there are so many gorgeous dresses out now. i am such a sucker for beautiful dresses. 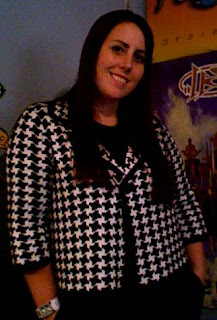 i love any chance to get all dressed up! yes- would love to trade links! Added you to the blog roll. Brilliant sweater :) It really suits you! what a super kute sweater!